Yesterday I found Eloise Biddlecombe, Anita Bell and Jane Fox on the Emsworth Arts Trail. 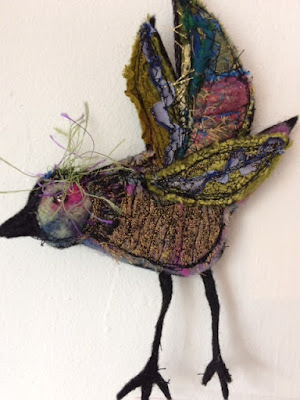 Eloise eloisebiddlecombe.co.uk does bold, colourful hand stitching. 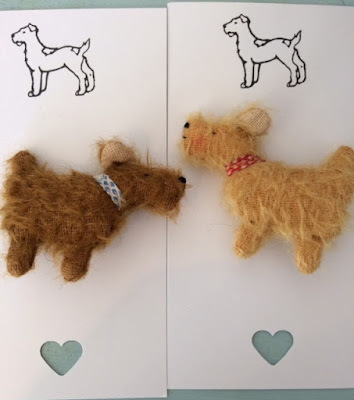 With a degree in illustration her subjects are fruit and she can also be commissioned to do a very likelike stitch representation of peoples' dogs. Her stand in the Emsworth Community Centre stood out for its cheerful larger-than-life portraits of fruit. Just the thing for a very cold day. Bear candles and partying guinea pigs! Pure beeswax candles made by Elizabeth Eveleigh. Birthday cakes, hives and my favourite bears! Sue Inglis designs and makes these guiinea pigs and mice in their party hats! Great b'day present! Glen Welstead made this colourful rag rug. Every time someone visits Handmade Happiness for the first time I appreciate all the unusual, beautiful gifts it offers to customers. It really is a special place with a unique selection of gifts that everyone seems to appreciate. By the way the rag rug sold a while ago. I just wanted to share it as another example of great craftmanship! 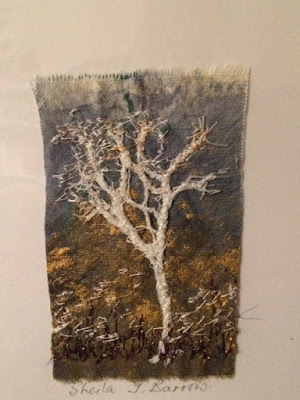 New in Handmade Happiness and this blog is nearly 10 years old! 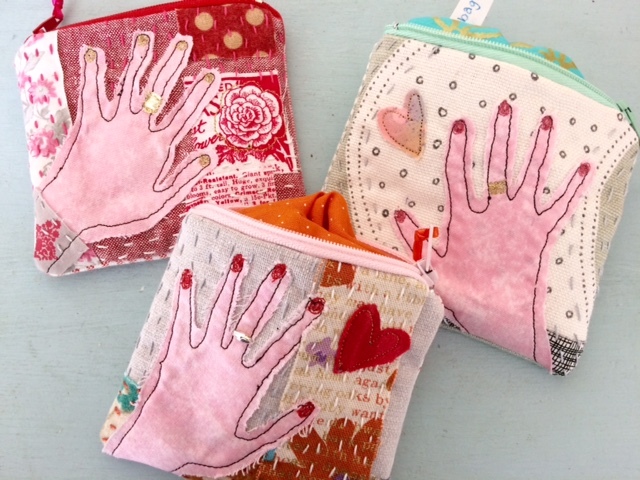 This week Tanya Williamson has brought in lots of new cushions and new framed pictures. Kate Box has just added to her popular wrist warmers and neckwarmers and I've made some more jewellery. The shop is well stocked for a busy Saturday. I just read the first posts I wrote on this blog. I started writing it when frantically busy preparing for the Country Living magazine show in Islington. I used to do that show every year and I thought it would be fun to write about the lead up. First post September 22nd 2008. By October 2008 I was writing about the dream to own my own shop. Back then I didn't seriously think that owning a shop was possible. I lived in Chichester then and shop rents were impossibly expensive. I couldn't have owned a shop in Chichester but I do own a shop in Petersfield. I wonder if consistently writing a blog for nearly 10 years is some sort of a record? This blog has had it's ups and downs. When it started all the readers were British. Now over half are American and often there's as many French readers as British ones. The comment option has never been used and that's ok. I can see from the stats that plenty of you are still looking at it. So thank you. There is a new UK Plastics Pact which lots of companies have signed up to which promises to reduce plastic wrapping by 2025. It seems that any promised action is always for way into the future. But action is needed now. 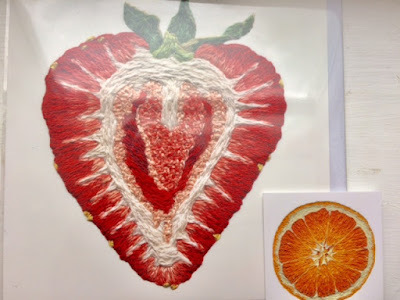 I am trying to look at the worst plastic offenders - like black plastic veg trays, plastic netting (on fruit) and cling film with a creative eye. Can these objects be made into something attractive? Or better still, into something both useful and beautiful! I've got a few ideas and I'll be experimenting in the shop. As soon as possible I'll offer a free workshop in Handmade Happiness for anyone that's interested. Meantime I'll keep jotting down ideas in my notebook and puting plastic rubbish into a big bag for creative upcycling! Although it's way ahead there are two events I want to mention in October. Firstly on Saturday October 6th friends and I will give free workshops in the Festival Hall, Petersfield as part of a charity event for Home Start Butser. 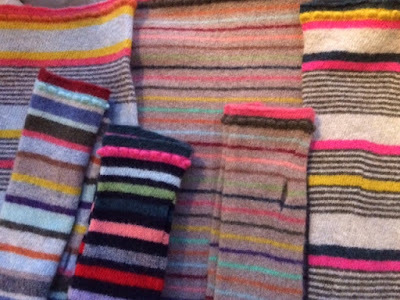 Secondly on October 14th it's the annual outing from Petersfield to the Knitting and Stitching Show in London. If enough people want to go (we need at least 35) a coach will run from the Festival Hall car park. A list you can add your name to will be in Handmade Happiness or just email me. I want the shop to be a plastic-free zone. Since Handmade Happiness opened, nearly 7 years ago now, I have always made small bags and carrier bags from old magazines customers kindly give me. But the cushions are too big for my bags so I have had to buy 'bags for life' from Marks and Spencer just for the cushions. I had a lovely conversation with a lady who lives next door to a sheep farm and she wondered if felt made from the fleeces would be a good wrapping material for pottery. Soft felt sheets would be ideal. And, as these coincidences happen, another lady on Saturday asked if I would like some felt sheets she has that an organic veg supplier from Devon uses to protect fruit and veg. Yes please! There is a new business for someone - to provide biodegradable packaging to shops and businesses. A handmade embroidered cotton blouse; a fine wool blue pattern scarf; a Crea outfit (we used to sell Crea at Tricot Too where I once worked. A very expensive Scandanavian label) and a cashmere scarf. The napkins in the bag above were also found at the same sale. It's ironic that I've just been emailled the news that Handmade Happiness has been nominated as Best Shop. 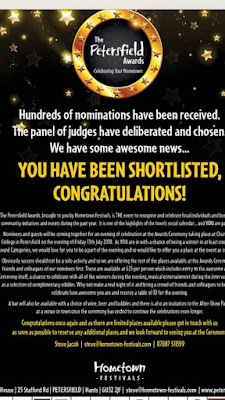 The email contained a suggestion that I reserve a table for 10 at £25 a head for the award ceremony. This has come when honestly, has there ever been a worst time for independent shop keepers? People are not spending and I sympathise. I too am not spending. Ever since the uncertainty brought about by Brexit people have decided to hang on to their money. We buy food, but spending on anything else seems to have stopped. Time and again the lovely people who come into my shop say: 'What a beautiful shop.' Or 'You always have such pretty things.' Or 'This is my favourite shop.' They still leave empty handed. In the past I had occasional days when I took no money. That was acceptable. But it's much worse than that now. If people don't start buying soon the shop may have to close. And yet I had a record November and December. Everyone loves the shop at Christmas. But it's 7 months until November and the rent has to be paid every month. Not to mention electricity, card machine, insurance, business cards etc. I don't want to have to beg (especially as half the people reading this are in the USA so it would be silly!) but please think about buying something when you enjoy looking round the unique experience that is Handmade Happiness. If everyone looking bought a card it would be a start and the cards in the shop are better than anywhere else don't you think? In the meantime I'm having a long hard think about the future. 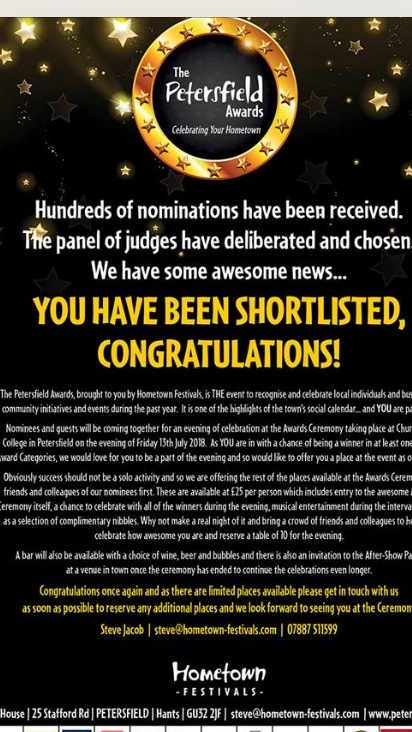 But one thing is certain: I won't be spending £250 on a table for 10 at the Best of Petersfield award ceremony! Does everyone have a dishwasher these days? I certainly don't. How much more of a pleasure would drying up be if your tea towel is a work of art? 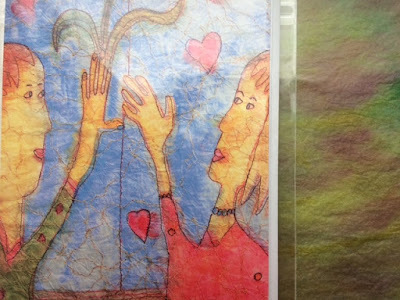 Penny Seume prints her artwork onto fabric (see scarves in a post below) and one of these tea towels, seen in the shop would make an excellent present. And if you do have a dishwasher you could just frame the tea towel!! To get 400 business cards printed quickly I got a re-print and forgot that my opening times are different at this time of year. Since Christmas I've not been opening on a Tuesday. Sorry about that. Once it gets busy again I'll open on Tuesdays too. When sorting through some boxes I came across a stash of these gorgeous buttons. 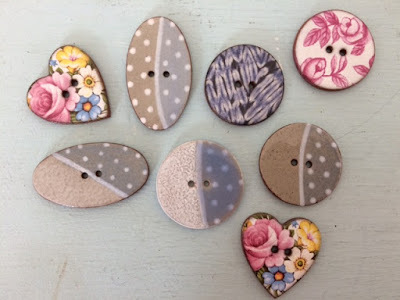 I had put them aside for a project where I was going to seal a cellophane bag of pretty fabrics with one of them but some ideas never see the light of day, so these buttons and many similar are now for sale. £1.50 each. Welcome back sunshine. Today promises to be a good one! On Saturday Kerry Lucas aka Crafty Kestrel came into Handmade Happiness with her knitted and felted creatures and I fell in love with them. So you can now buy these three cute little chaps in the shop. 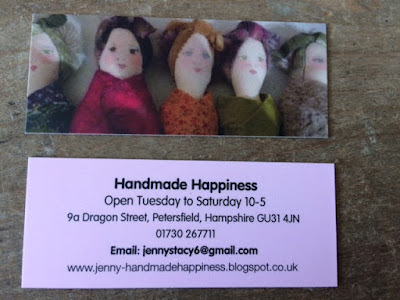 This week I've been choosing pictures for a flyer to advertise Handmade Happiness. I'm reminded of how many brilliant makers allow their work to be sold in Handmade Happiness and I am really grateful to them. These pictures only represent a fraction of the items for sale in Handmade Happiness. And only a fraction of the wonderful makers who have their things in the shop. More pictures soon. Last week brought news of yet another gift shop closing down in my town. This year has been very hard with three lots of snow and constant rain, both of which stop people browsing in the shops. But after nearly 7 years in Handmade Happiness I know that things will get better and I was tremendously encouraged to recently learn I have been short listed for Best Retail Shop in Petersfield. Thanks a million to everyone who voted for Handmade Happiness. 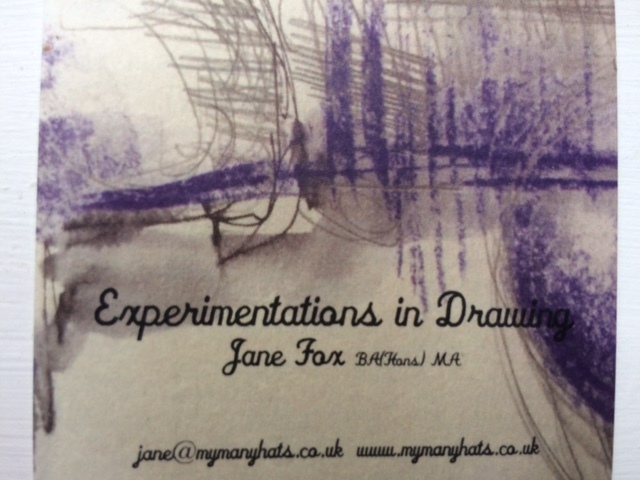 By the way if any maker reading this would prefer not to have a picture of their work with their name on included in the new flyer let me know. 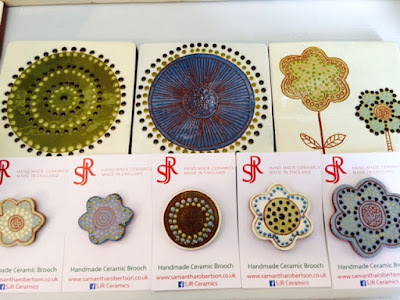 I am excitedly looking forward to stocking more of Sarah from Northfield Primitives unique work. 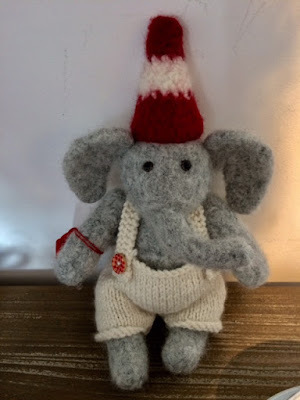 Sarah's things on Instagram last year I knew they were just right for Handmade Happiness. The items pictured all sold last year and there will be some different things and some of the same things in the shop shortly. Watch this space, or better still, come into the shop. Her items are beautifully made and are the kind of pieces you just fall in love with. If you're on Instagram you can see more on @northfieldprimitives. She also has an etsy shop. On Monday I went to see my daughter in Tring and she drove us to Amersham old town for the day. And I fell in love with the place. It is picture perfect, like a period film set. Along the High Street every building is centuries old and yet perfectly preserved. I was shocked by how attractive it is. Set in the Chilterns there are rolling hills all around and yet, I was told that it's on the end of a tube line so only 35 minutes to Marylebone. An hour to the city and central London so it's commuter belt and, because of this prices are higher than I hoped! My daughter and I had a delicious toasted goats cheese and red pepper sandwich followed by a Moroccan orange piece of cake at The Grocer, pictured above. I imagine going there a lot! There was just one charity shop where I was thrilled to pick up a lapis lazuli necklace for just £1. 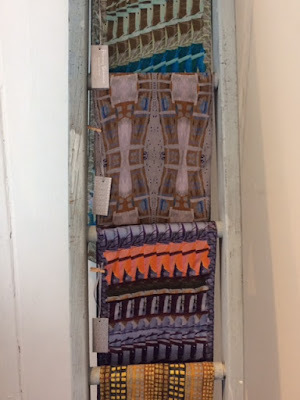 A smart interior design shop where I mistook pieces of patterned paper for gift wrap and they were actually wallpaper - sold in metre lengths and, nearby, probably the best toy shop I've ever come across. I am naive sometimes. I day dream a lot. But this dream dies here and now. The house is 850,000 and the freehold shop in a house is 995,000. However, all is not lost. I am newly inspired to make the very best of my Handmade Happiness shop here in Petersfield, a town that, until very recently, I really believed was the best place to live in the country! !